This pub table is an excellent addition to your kitchen, dining room, or bar area. This piece features a bright chrome-colored finish, a clear round glass top. For a sleek bar or dining experience, look no further than this round bar table. 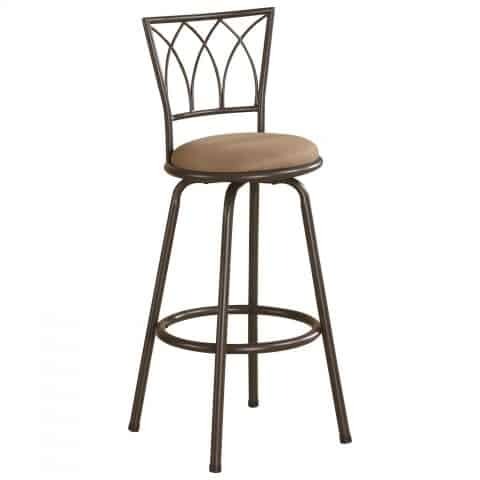 This metal bar stool features a bronze finish with a tan fabric seat. The classic curved design of the backrest will complement your transitional decor elegantly. 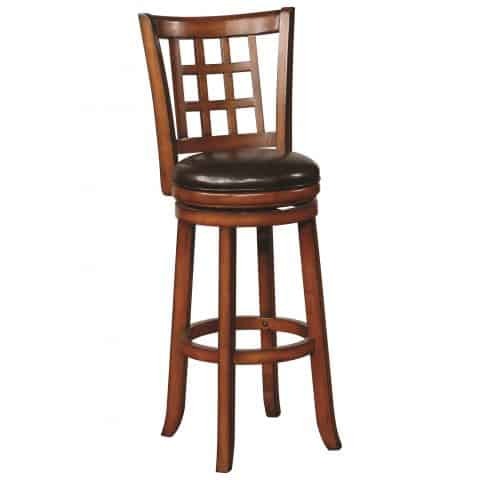 Add this traditional brown swivel bar stool to your bar décor for a classic look. The bar stool constructed from solid wood with checkered detailing on the back, this stool features a seat upholstered in black faux leather with swivel capabilities. 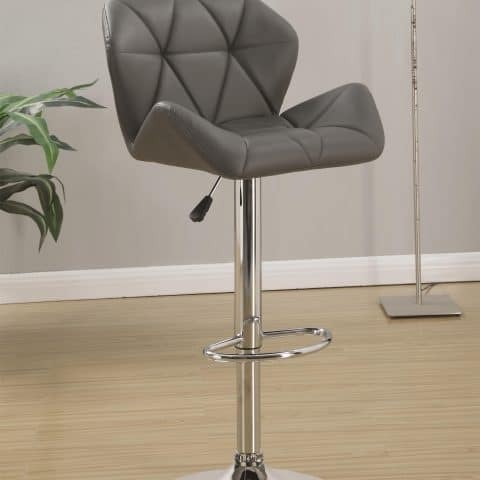 Soft angles and delicately curved legs of this stool complete the look. This modern grey stool has a unique look that will catch your eye. The funky upholstered seat is stitched giving you a triangular pattern. 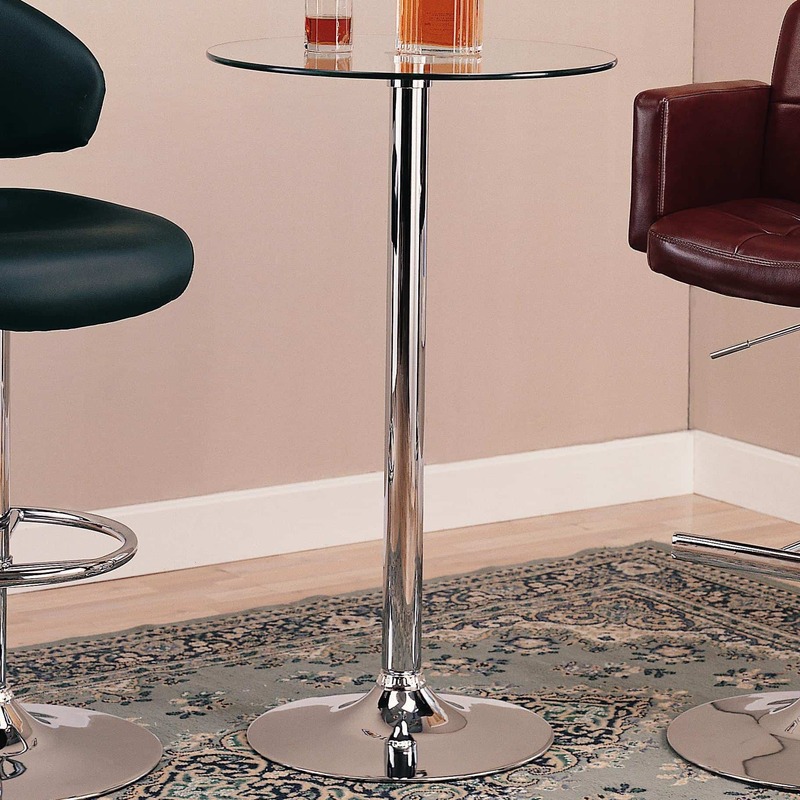 The chrome base can adjust from counter height to bar height and includes a foot pedestal for rest your feet.